It is the season of exotic holidays and tourists wandering the cities around the world. In our modern world, social sharing has become more important than ever (#truthspeaking). Getting the right picture before uploading is essential. Going to Rome, Paris or Dubai? Wherever you are going next, we’ve got you covered with great tricks and tips for better travel pictures, that will show you how to capture the perfect moment. These tips will guarantee to make your pictures extremely Instagram-worthy. The famous and well-used rule of thirds can be used to place the subject along a vertical or horizontal line and at a point of intersection. The goal here is to make the picture more interesting and visually appealing. The eye naturally falls on the point of intersection, which is why you should place the object you are shooting along one of the lines. Within photography methods, the “golden hour” is often mentioned, because it is right around this time that the lighting is best, soft and yes, golden. The golden hour is right around sunrise, and around sunset. If you are close to a beach on your travel, I recommend going there around these times and shooting amazing photos. Use the weather app to find out exactly when the sun will rise and set during the day. In order to capture great, eye-catching, pictures try looking for beautiful colors around you. Find multicolored houses around a local city or brightly colored flowers to take pictures of. When editing, turn up the saturation and brightness of the photo and voilá, you have a summer perfect picture. It is, in fact, possible to create 3-dimentional looking photos, just by setting up the photo in the right way. This also creates extremely eye-catching photos and prevents your photos from looking completely flat. Water is a great example of how you can capture movement in the background but has the main focus on the subject of the photo. You can divide it up in levels, where the first level is the person you are shooting a picture of, the second is the ocean, and the last level is a silhouette of an island far out in the back. Editing a photo on your smartphone may seem like no big deal, but if you are willing to improve your game, you can get really nerdy with it. I would highly recommend using Snapseed as an editing tool, due to its Selective tool to adjust the brightness, saturation and contrast of certain areas of the photo. Other useful apps for editing like a pro are VSCOcam, Layout and Enlight. For shooting portraits or snapping selfies, it is always about finding the right angle. Play around with your camera, and find your best angle. And remember, nobody looks good in a photo taken from below. Not everyone might know the short-cut, that you can use the volume button to take photos. This will also work if connecting your headphones to your iPhone. Nobody has ever taken a photo of food using flash and made it actually look tasty. Instead, try going for great natural lighting. Another trick that can be used when food-gramming, is standing on your chair and take a photo of the food directly from the top. It just looks great. It can be hard fitting in a lot of people for a group selfie, yet thanks to the selfie stick that works as an extending arm, we now have a solution for that. There are great smartphone lens accessories on the market, expensive and inexpensive. 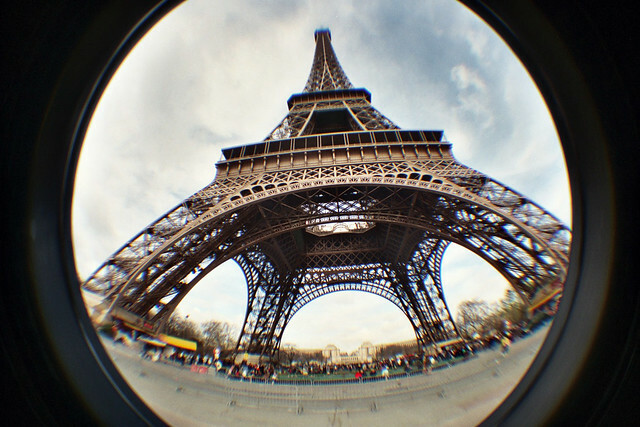 One of the cool effects that I love is the fish-eye lens that creates outstanding photos.